Posted On February 4, 2011 by &filed under Legal India. 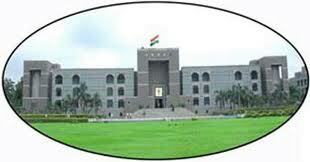 The Gujarat High Court Friday recalled its order of imposing Rs.20,000 costs on a petitioner for filing a frivolous public interest litigation after his lawyer said costs should be recovered from him instead. The bench of Chief Justice S.J. Mukhopadhaya and Justice K.M. gave the order after advocate Girish Das submitted his client was not responsible for the submissions he made before the court and should not be penalised for them. Dilip Shah had filed the PIL through Das, challenging a land deal involving an Ahmedabad-based trust and alleging a fraud of Rs.12 crore in the deal. The bench had dismissed the PIL July last year, observing it was an adversary litigation filed giving it the colour of a PIL. Imposing costs on Shah, the court ordered him to deposit the sum to the Gujarat State Legal Services Authority. A review petition was filed where Das stated that the cost was imposed on Shah following his insistence on recording his arguments in the dismissal order and the ensuing conversation that took place between him and the court. Therefore, he should be made to pay the costs and not his client. Das had also attached a cheque of Rs.20,000 with his affidavit and prayed it be accepted for the costs. During the hearing of the review petition Friday, Das again urged the court to recover the amount from him. is not displeased with me. And subsequently, the court recalled its order to the extent of imposition of costs,” he said. 101 queries in 0.210 seconds.